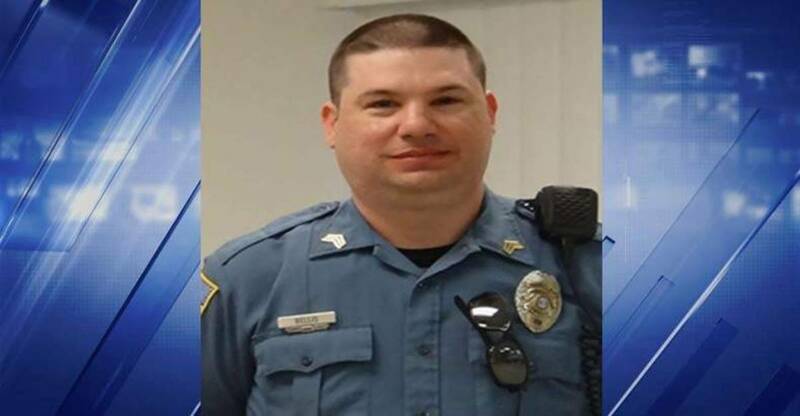 Farmington, MO– Leadwood Police Officer Jay R. Bellis, 38, is facing a felony child abuse charge. He’s accused of throwing a four-year-old child into a wall and causing him to hit his head on the kitchen cabinets on February 24. A three-year-old informed police about the incident. The abusive officer admitted to the assault on the very young child stating that he had lost his temper. He’s also admitted to injuring the boy’s ear and causing it to bleed after he misbehaved at his daycare, The Daily Journal reported. It is unclear if the two acts he admitted to were part of a pattern or related to the same incident. Bellis was working for the Leadwood Police Department from 2011 until last year. The admitted child abuser then moved from the Leadwood PD to St. Francois County Sheriff’s Department, where he worked from March of 2014 to February 25 of this year. He left the department one day after the abuse. It is currently unclear why he left, if he was terminated, or if it was his choice. On March 12, Bellis returned to the Leadwood Police Department and despite his history of assaulting 4-year-olds, he was promoted to Sergeant shortly after his arrival. The condition of the child, as well as the identity or relation to the police officer, have not been made public. The officer is facing a Class C felony which means he is facing up to 7 years in prison with a minimum of one year if convicted. The abuse is considered to be “Class C” because it resulted in serious emotional or physical injury. Bellis handed in his gun on Tuesday, presumably in preparation to turn himself in. The officer’s bond is set at $50,000. There is no word on whether or not the officer is in custody as of early Thursday morning.